SWEET LIPS – Want a perfect pout? We’ve got your Top 10 solutions – from acupuncture to plumpers. For permanently full lips, e-PTEE fillers, such as Advanta or Gortex, reign supreme. Flexible, soft tubes inserted into the mouth’s corners, between the muscle and vermilion border, work with your own collagen, so lips heal themselves. You choose the desired fullness; implants can be removed any time. Cost: $500 to $3,500. Potential side-effects: “Shrinkage and the infection rate is less than three per cent,” says Dr. David Ellis, a facial cosmetic surgeon and medical director of Art of Facial Surgery in Toronto. 2. PLUMP IT UP – INJECTABLES Botox, a muscle-relaxing injectable toxin, reduces smoker’s lines for up to three months. Cost: $15 to $100 per unit. Potential side-effect: “Often my patients dislike the sensation their lip doesn’t move normally,” says Dr. Sammy J. Sliwin, a plastic surgeon in Toronto. Injectable dermal fillers, such as Restylane, Perlane, Hylanew, Radiesse, Artecol or Dermalive, make lips fuller, define the white role (where the vermilion and flesh-coloured part of the lips meet) and fill in any vertical lines, says Dr. Sliwin. Cost: $350 to $850. Warning: “Some patients develop lumps, so the manufacturer does not recommend injecting Radiesse into the lips,” says Dr. Sliwin. 3. FINE LINES – PERMANENT MAKEUP Micro pigment implantation (a.k.a. tattooing) uses colour instead of fillers or surgery to create the illusion of volume in the lip area, says Dorothy Kizoff, a cosmetic tattoo technician with Permanent Make-Up Artistry in Toronto. The natural vermilion lip and/or border are enhanced via sterilized needles implanting hundreds of coloured mineral pigment dots beneath the skin’s top layer; and colour choice is up to you. Results last up to five years. Cost: $795, liner only; $995 full lip. Potential side-effects: bruising, scarring, migration of pigment or allergic reactions. 4. SCRUBS – EXFOLIATION Lip exfoliation is key, says Sabrina Ferri, an award-winning makeup artist and owner of Salon Verve in Maple, Ont. “Brush lips with a soft toothbrush to remove any excess dry skin, especially during winter and for mature lips.” Dermatologist Dr. Lisa Kellett, of DLK on Avenue in Toronto, recommends adding 1/16 teaspoon of brown sugar to a gel-based, microbead cleanser once a week. Try: Clear Start at www.dlkonavenue.com. 5. HOT LIPS – SPF Lip skin is thin and lacks melanin, which is why an SPF is important to prevent aging and lip skin cancer, says Dr. Kellett. “Use a lip balm daily with SPF 30 and layer with lipstick or gloss on top.” Try: Fresh Sugar Lip Treatment SPF 15, $31; B. Kamins Bio-Maple Lip Balm SPF 20, $30. 6. 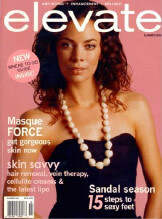 HYDRATE – MOISTURIZERS One of the first signs of aging appears around the mouth, says Ferri, so lip treatments are vital. A good lip treatment will nourish, soften and plump lips, reduce feathering and fine lines, plus extend the life of lip colours, when used as a base. Try: Crabtree & Evelyn Overnight Lip Repair, $22; Lancome Primordiale Levres Visibly Revitalizing Lip Treatment, $39. 7. PERFECT POUT – LIP PLUMPERS Lip plumpers are either topical irritants, such as cinnamon, niacin or ginger, or contain glycerin to temporarily fill lines. “There’s an optical illusion of increased shine; the lips appear bigger, but the actual size doesn’t change,” says Dr. Kellett. DuWop Lip Venom and Freeze 24/7 contain topical irritants that induce stinging and blood vessel dilatation, causing lips to temporarily swell. But the effect wanes quickly, so reapplication is necessary. Cost: $10 to $100. Potential side-effects: contact dermatitis, blistering or ulcers (caused by excessive irritation on the lips). Try: DuWop Lip Venom, $27; Dermaglow NuVectin Collagen Lip Plumper, $25; Freeze 24/7 Plump Lips Lip Plumper, $60; Modele Perfect Lips Instant Volumizer, $30. 8. LIP TRICKS – LIP LINER Redefine your lips with liner. Ferri suggests covering lips with a moisturizing concealer first. 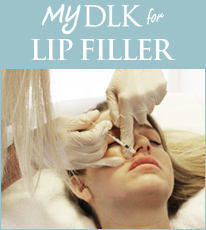 Thin lips: apply liner slightly over the natural lip line. Full lips: apply liner on the natural lip line’s inner rim. Start at the natural V of the lip, then join from end to end. Avoid red for mature lips; it draws attention to imperfections; natural, pink and earth tones complement most lipsticks. Try: Benefit Color Plump! in Hey Sailor, Yoo Hoo and Love Ya, $20. 9. FRESHEN UP – SKIN RESURFACING Microdermabrasion removes dead skin cells and softens fine vertical lines on the lips. Deep chemical peels can effectively reduce wrinkling, but may permanently lighten skin. Medium-depth peels are safer but multiple sessions are required, warns Dr. Ellis. Cost: $150 to $250. Potential side-effects: cold sore activation or permanent scarring. “Acupuncture brings Qi (vital energy) to the lips, stimulating collagen production, increasing muscle tone and smoothing deep wrinkles for three months and fine wrinkles for six months,” says Dr. Jean-Jacques Dugoua, a naturopathic doctor and director of Truestar Clinic in Toronto. Begin with two visits a week for three weeks, followed by six weekly visits. After 12 sessions, monthly maintenance is sufficient. About 100 needles (face, hands, feet, knees) are used during each 90-minute session. Cost: $175 per treatment. Potential side-effect: occasional, temporary bruising.